In order to increase efficiency, as well as regulate costs, businesses must rely on certain practices and tools. Invoices are examples of important business tools they are necessary for correct and proper business day-to-day operations. 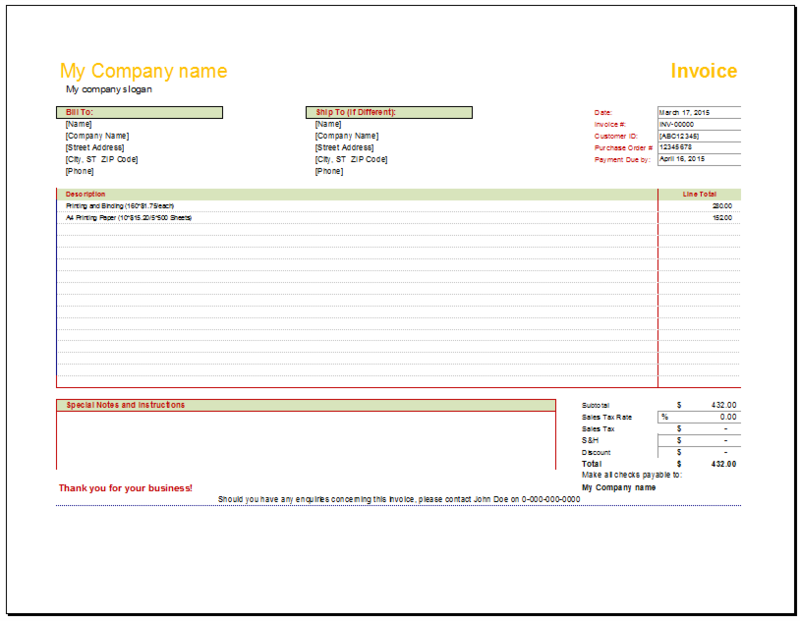 Invoices are lists of goods and/or services which are given or performed for a client. 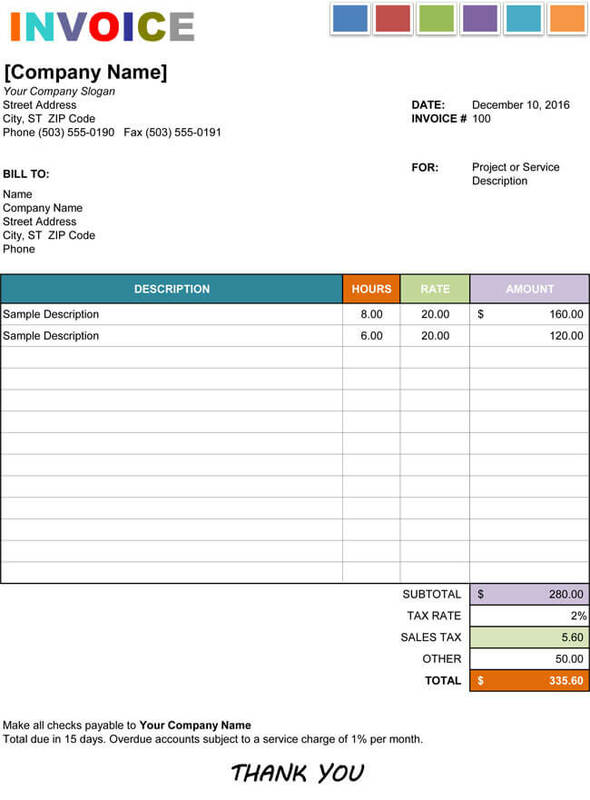 Invoices keep track of important procedures and itemize supplies used. 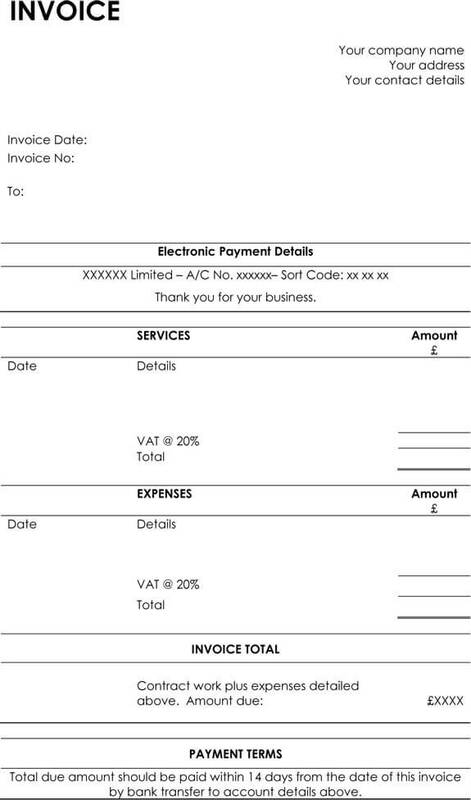 There are many different invoices used by businesses today. 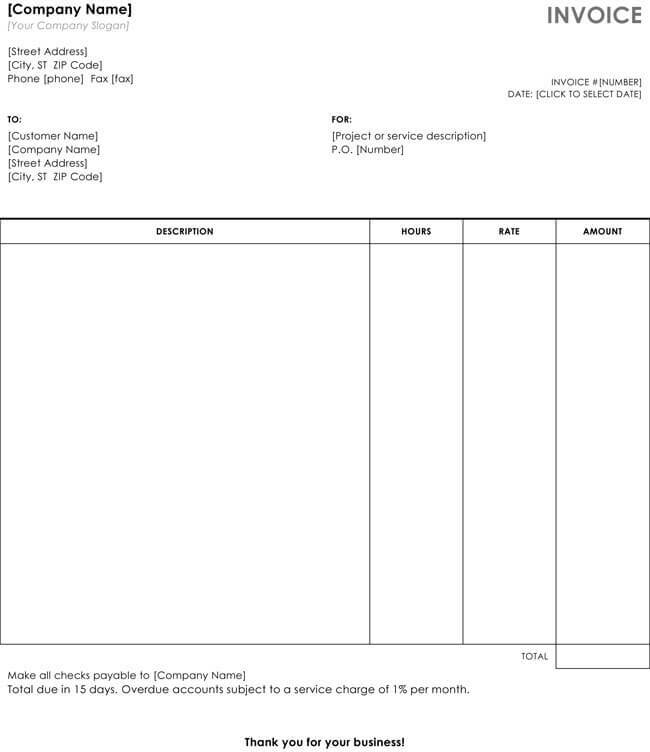 These invoices all perform the same basic function, but their layout and design must conform to the individual business itself. 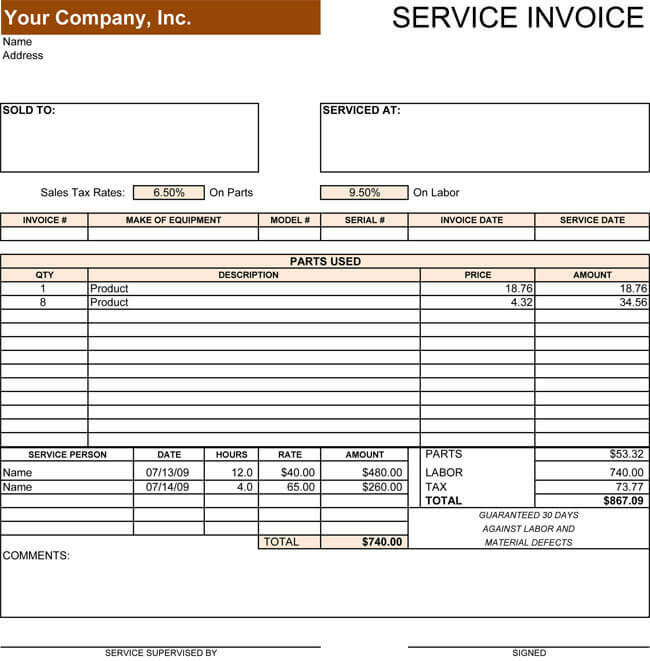 Thus, invoices are bills that are issued to the customer for goods purchased and/or services performed. Businesses that charge for their services on an hourly basis would require the use of what is called, an hourly service invoice or time sheet. 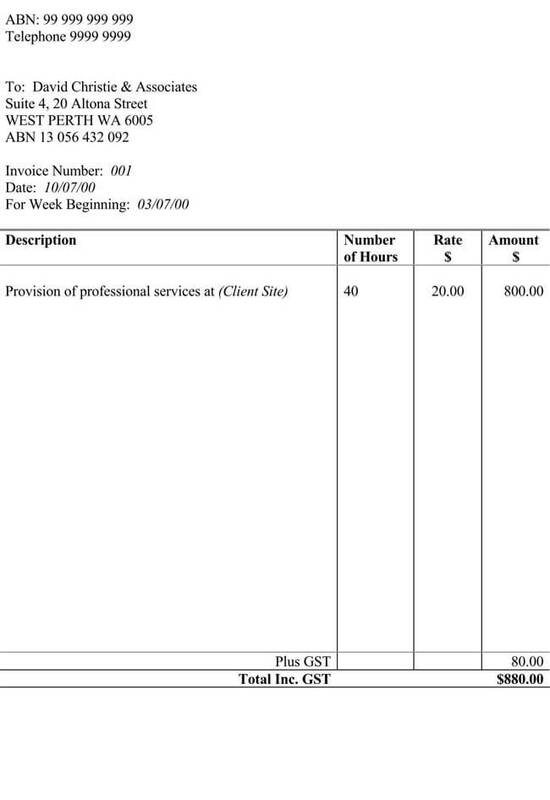 Hourly service invoices, or ‘time sheets’ are used by several businesses such as maid services, child care, pet sitters, tutoring, landscaping companies, rental companies, and for freelancers and contractors who need to be paid for hours spent on projects. 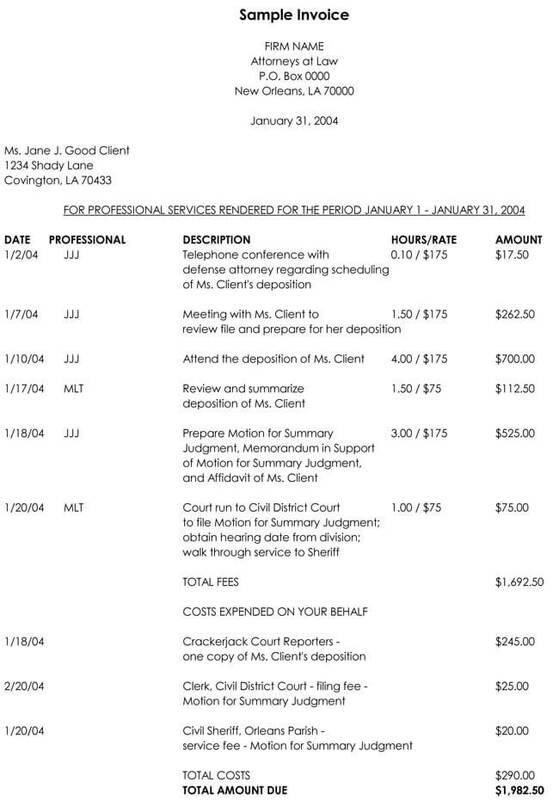 For instance, lawyers and consultants are two examples of individuals who use hourly service invoices. 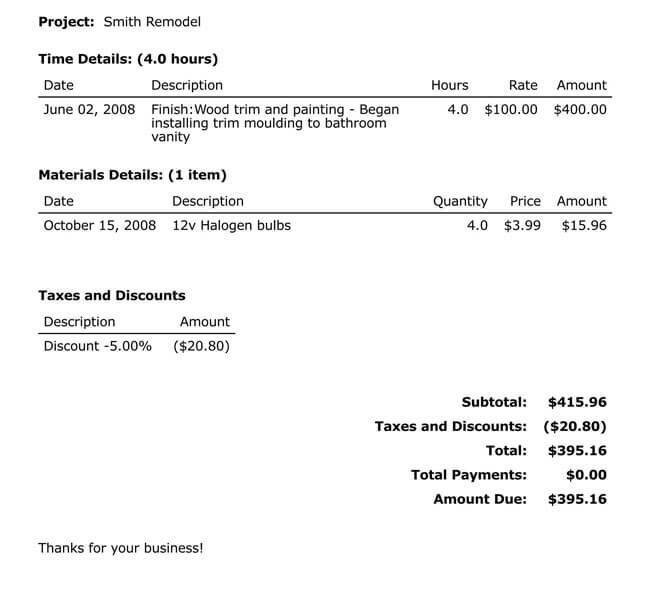 They keep track of the work they do for a client, and use an hourly invoice to tally up the total hours. This determines how much they will be paid, as the individuals and businesses are billed for the time a lawyer or consultant spend working from them. 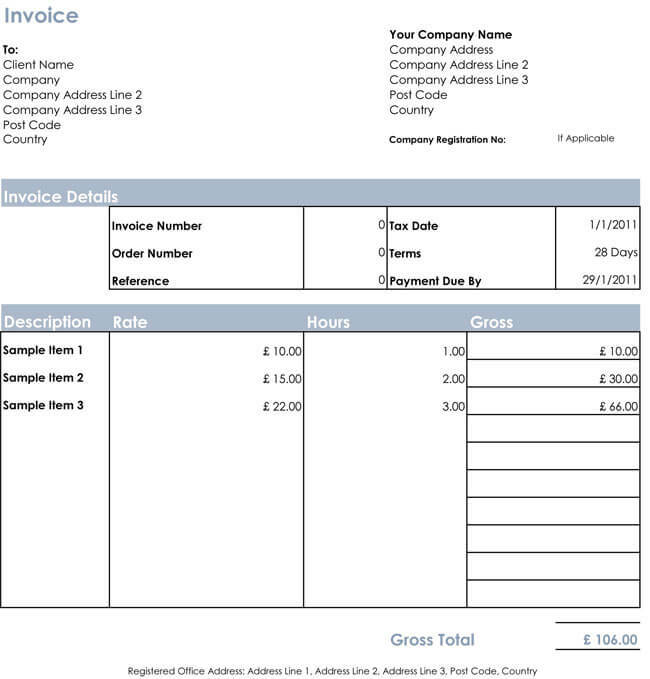 These hourly service invoices are then used as input to compute payroll, project accounting or client billing processes. 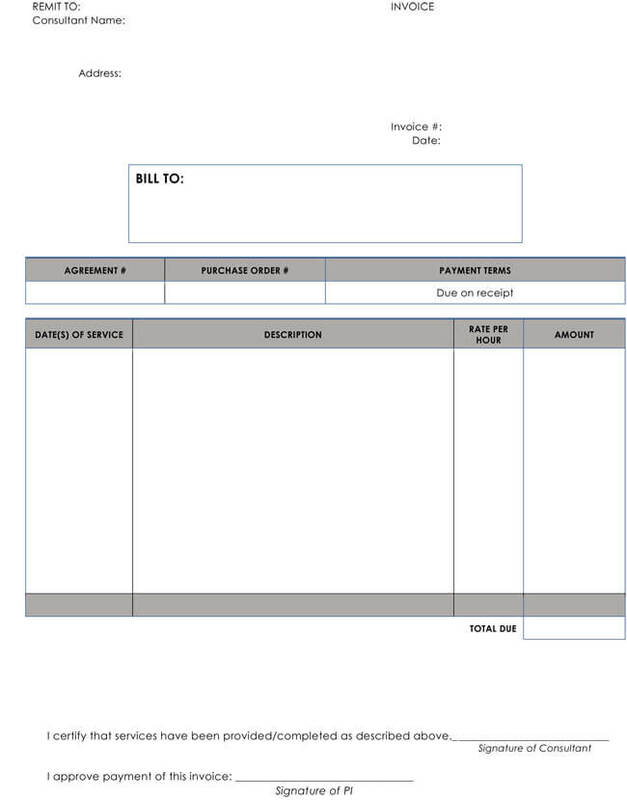 Hourly service invoice templates are an efficient and cost-effective way to maintain your records. With hourly service invoice templates, there is no need to purchase expensive invoice software that you will have to also learn to use. 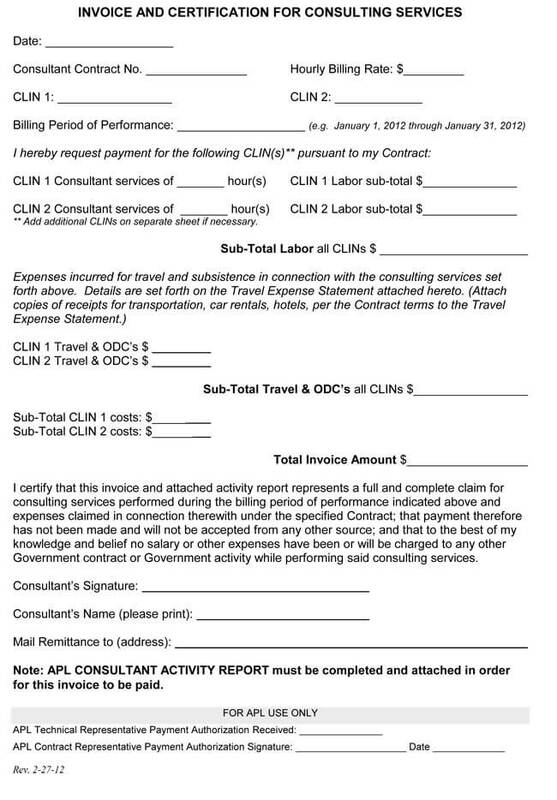 All hourly service invoices are to include an overview of services rendered. 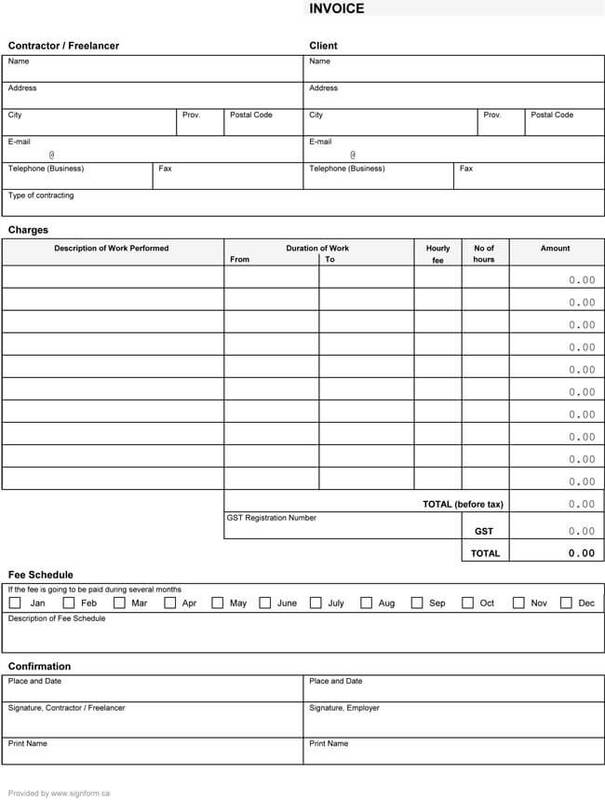 Hourly service invoice templates will usually provide the same basic information such as: Invoice number, description and date of the service, invoice date, contact information, itemization of costs, total amount due, taxes, and payment details. 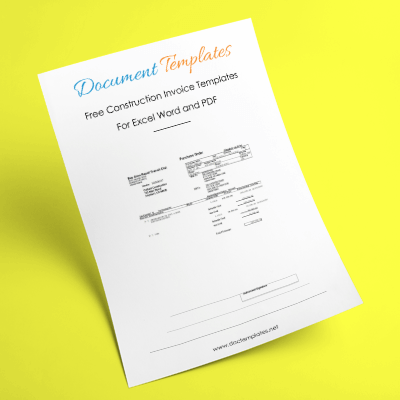 As you can see, an hourly service invoice can be complex to create, which is why our free to download, hourly service templates are an absolute must for any business. 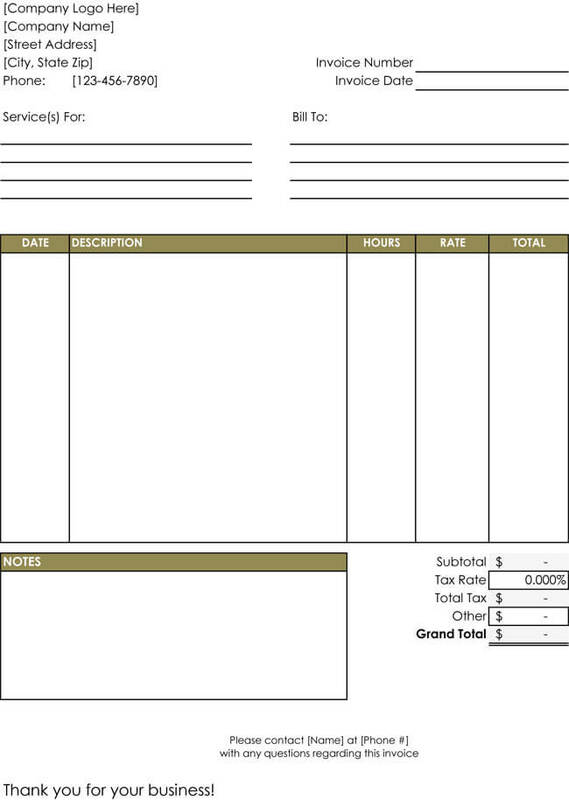 A properly formatted invoice template creates a professional billing document which insures accuracy, saves time, and builds client trust. Time is money in business, so it is to your advantage to download and use our hourly service invoice templates. 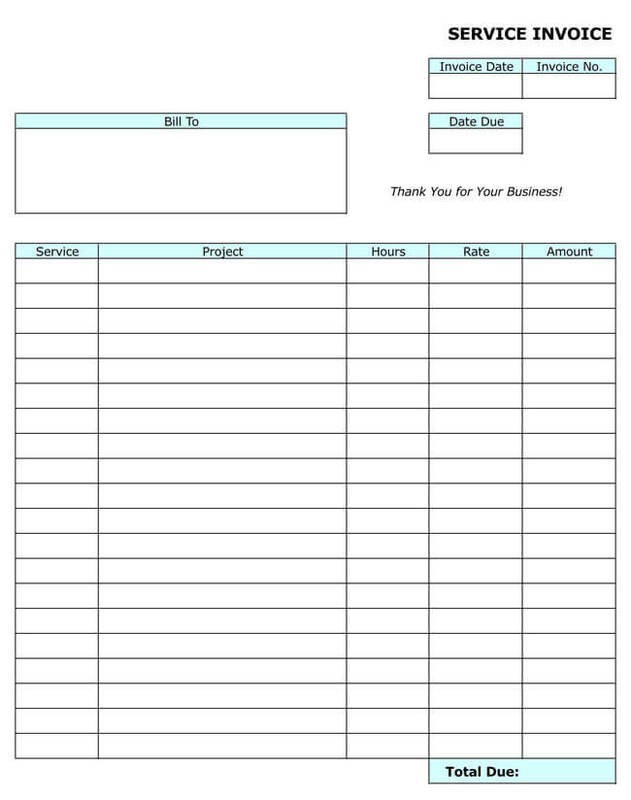 We offer 14 professionally designed hourly service invoice templates. 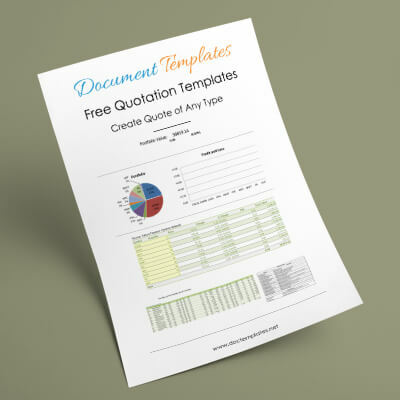 All of our 14 templates are easy to use and customize to your particular business needs. All that is required is that you download, edit and print. 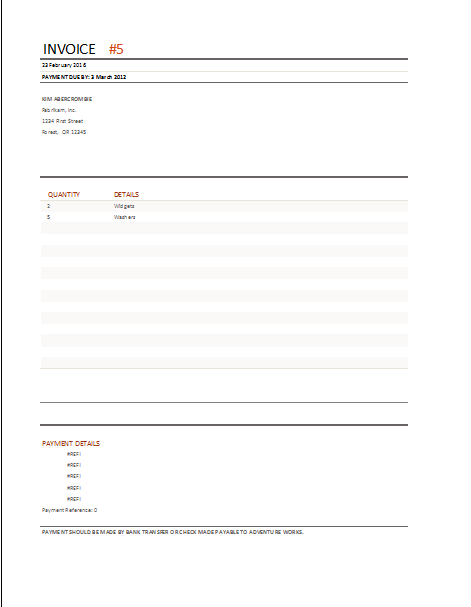 It’s just that simple to create the perfect billing document for your business without having to purchase and learn expensive invoice creation software. 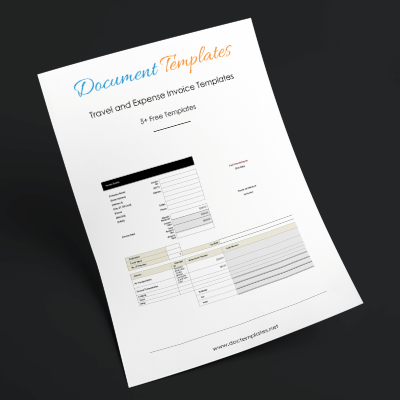 Our hourly service invoice templates are free to download, and available in the following formats: PDF, Microsoft Word, and Microsoft Excel. 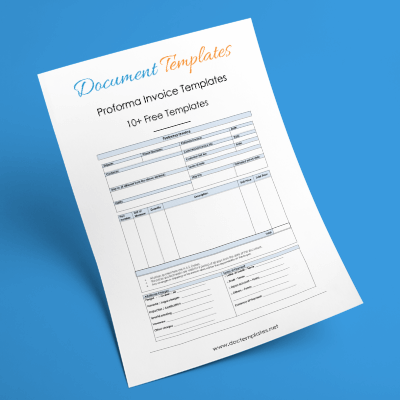 Our hourly service invoice templates are a time-saving asset for any company that charges by the hour, and are guaranteed to add to the efficiency and productiveness of your business.